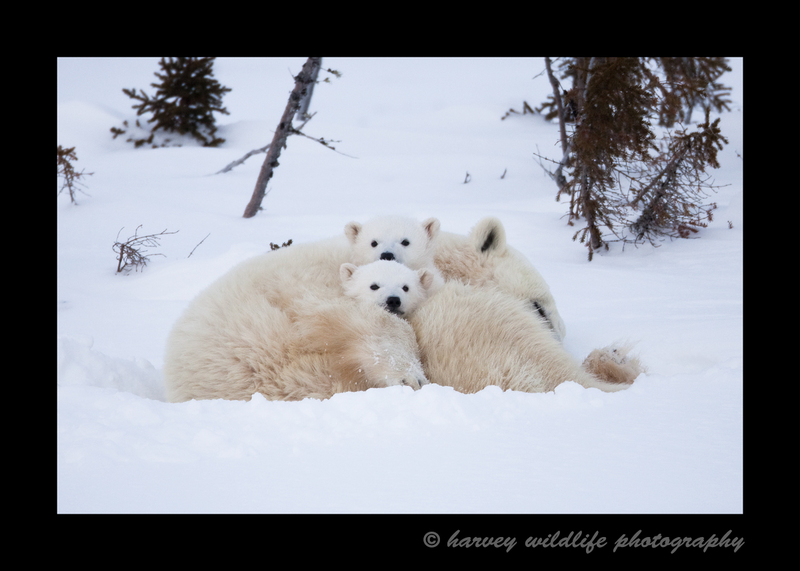 Cozy Family: Harvey WIldlife Photography; Polar bear mom's and cubs. The cubs were curious about what the photographers were up to. Mom couldn't be bothered as she gets in a nap.